Slot machines, blackjack and roulette are back on the table as lawmakers prepare once again to tackle the high-stakes issue of gambling in a state that everyone agrees is already one of the industry’s biggest cash cows. But there’s little else the players and their opponents agree on. Even as the Legislature awaits a final report on the economic impacts of gambling in Florida, the dog fight over who gets what kinds of gambling — and how much — is already ramping up. The competing interests are hedging their bets. They’re hiring lobbyists, enlisting public-relations firms and stuffing campaign coffers, even while many privately admit the odds are against anything actually getting passed in 2014, an election year in which Republican Gov. Rick Scott is seeking a second term and legislators throughout the state will be on the ballot. But many believe that a looming 2015 end to an agreement with the Seminole Indians that lets the tribe run table games like blackjack could tip the scales in favor of some resolution during the upcoming session. Most of the players don’t want to wait until Senate President-designate Andy Gardiner, an Orlando Republican whose district is in the shadow of gambling foe Disney, and House Majority Leader Steve Crisafulli, R-Merritt Island, take over the helms of their respective chambers before the 2015 legislative session. And lawmakers, who paid Spectrum Gaming Group nearly $400,000 for a gambling study, want plenty of time to revisit the Seminole compact, which took two full years — and a Florida Supreme Court opinion — to nail down in 2010 after then-Gov. Charlie Crist initially signed a deal with the tribe without the Legislature’s approval. The threat of Crist’s return to the governor’s mansion, this time as a Democrat, when the compact must be re-inked or allowed to lapse on July 1, 2015, further complicates the already labyrinthine issue. As was the case the last time the deal with the Seminoles was in the works, all of the state’s existing track and fronton operators are throwing their wish lists on the table. They’re divided by geography and confounded by regulators who have made a series of policy turn-arounds as operators and their lawyers exploit loopholes in a patchwork quilt of gambling laws to maximize the pari-mutuels’ reach along with their profits. “This go-round, like last go-round, will include all the interest-holders or stakeholders,” said Sen. Bill Galvano, R-Bradenton, who serves on the Senate Gaming Committee and oversaw the compact negotiations for the House while serving in the chamber in 2010. The Senate Gaming Committee will meet Sept. 23, the first day of committee meetings this fall, and hold hearings at four locations across the state late in October and in November. “You have the 28 pari-mutuels. You have the eight pari-mutuels in Dade and Broward. You have the new interests of the resort destination entities. And this is an industry the participants, in my experience, seem to care more about what the other person doesn’t get than what they can get on their own. That makes it a very difficult group to manage and a difficult backdrop to create policy against,” Galvano said. Industry lobbyists and lawmakers laid out a variety of possible scenarios. In-state pari-mutuel operators want lawmakers to help their industry, or at least rein in their competitors, and are seeking lower taxes and more kinds of games, including blackjack and other banked card games. But they’re split on the kinds of permits the state should allow, and where gaming sites should be located. Out-of-state casino giants hope the Legislature will sign off on at least one “destination resort” and finally bring Las Vegas-style gambling to the Sunshine State. The Seminole Tribe of Florida is seeking to beef up its flagship Hard Rock enterprise in Tampa Bay, already one of the most lucrative casinos in the world. The state’s tourism and hospitality industries, backed by conservatives and evangelicals, are pushing lawmakers to put the brakes on continuously-growing gambling options. One option would bring bingo-like slot machines, or “video lottery terminals,” to all tracks throughout the state. That could be a problem because it might violate the Seminole compact, which gives Indian tribes the exclusive right to have slot machines outside of Miami-Dade and Broward counties. That part of the compact lasts for another 15 years. Another alternative would give Broward and Miami-Dade “racinos,” which already have slot machines, lower tax rates and more “products.” Regulators have already signed off on slot machines in South Florida that play like roulette and blackjack, but the tracks say they need the banked card games to compete with the nearby Seminole Hard Rock Casino in Hollywood. 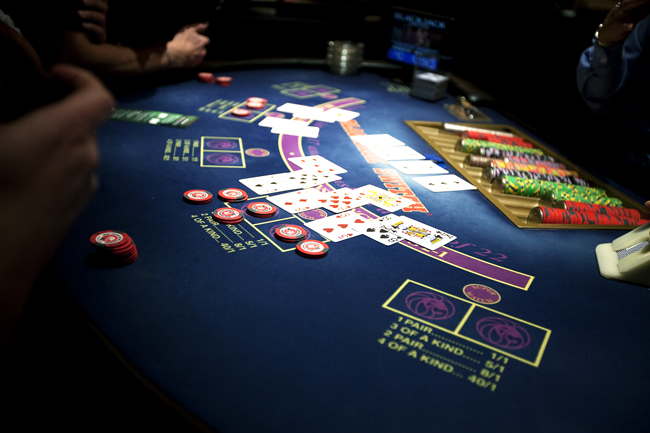 The prospect of blackjack and banked games at South Florida pari-mutuels is fueled by speculation that the Seminoles may be willing to give up their monopoly on the games in Miami-Dade and Broward in exchange for certain exclusivity in Tampa Bay, along with the possibility of additional games such as roulette. The Seminoles also face the threat of lawmakers simply allowing the compact to expire and having to turn instead to the courts, a lengthy and expensive process, meaning they might be more willing to make concessions in South Florida to protect the Tampa Hard Rock. Tampa Bay Downs wants slot machines so the track can compete with Hard Rock. The horse track wants to use proceeds from the slots along with lower tax rates to boost purses and thereby lure better horses — and the bigger bets that ride along with them — to the track. Another possibility could give the Tampa Bay pari-mutuels the option of video-lottery terminals, something that the Seminoles would likely balk at. There’s also an ongoing push by dog tracks throughout Florida to “decouple” greyhound racing from cash-rich card rooms. Under current law, dog tracks must run a certain number of races to operate card rooms. They, too, are demanding slot machines to boost a failing industry. The initial report to the Legislature from New Jersey-based Spectrum Gaming estimated that the state’s 13 greyhound tracks lost a total $35 million on dog races. Also in the mix: scraps over different types of permits and attempts to move them. Included in the discussion is the possibility of the Department of Business and Professional Regulation canceling or buying back permits that aren’t in use at the existing pari-mutuels. “The special privileges in the pari-mutuel code have targets on them for repeal, and dormant and underperforming permits are going to be tools for gambling contraction,” said gambling lawyer Marc Dunbar, who successfully convinced regulators to grant a controversial rodeo-style barrel racing permit for a facility in Gretna of which he is part owner. An administrative law judge later said regulators erred in issuing the permit. Dunbar is now in the midst of a legal battle over an attempt to get a Miami-Dade County permit for Gulfstream Race Track, located in Broward County, because the property spans the county line. That’s just one of 21 gambling-related lawsuits DBPR is involved in, pointing to the need for lawmakers to tighten the statutes. The money the state receives from the Seminoles — $250 million a year for schools — gives the Legislature an incentive to fold on any of the other options that could benefit the existing tracks. Many insiders say the jumbled state of gambling affairs cries out for the creation of an independent gaming commission. “The Legislature needs to rein in the permit issuances and have a little bit stronger way of implementing policy in reference to gaming so that everything goes through a complete vetting process before anything happens. That requires the creation of a gaming commission. It probably should be done even if there is no parity and even if there is no additional gaming,” said Calder Race Course lobbyist Wilbur Brewton. House Speaker Will Weatherford, R-Wesley Chapel, who insists he is personally against any expansion of gambling, is playing his cards close to the vest as he waits for Spectrum’s final report, due Oct. 1. “We’re pretty open. We want to do the right things. We want to be cognizant of the kind of gaming we have in the state of Florida, look at the current regulatory framework that exists, make a determination as to whether or not it’s working and then look at what Florida’s going to look like 20 years from now or what gaming in Florida is going to look at 20 years from now and make sure we’ve got a regulatory structure that’s going to meet the needs of that,” he said.